Before being an avid Kindle reader, I was an insatiable paperback reader. There are plenty of bookshelves in my home, but this is my favourite shelf, and I’d like to share it with you on World Book Day. Unfortunately, not all of my favourite books are here, but all the books here are very special for me. As you can see, there are many Victorian novels. Where to begin? The Bronte’s, of course. Jane Eyre and Wuthering Heights will always be closest to my literary heart, and their literary daughter, Daphne du Maurier’s Rebecca is another favourite. The Bronte family biography by Juliet Barker, the companion to Daphne du Maurier, and du Maurier’s biography of Branwell Bronte, have all helped me understand my favourite novels. Fanny Burney’s Evelina, Charlotte Lennox’s Female Quixote, Mary Shelley’s Frankenstein, and George Eliot’s Silas Marner also fuelled my imagination. Moving on to the twentieth century, I could not be the writer I am without Jean Rhys’s Wide Sargasso Sea, Muriel Spark’s A Far Cry From Kensington, Doris Lessing’s The Good Terrorist. The end of the 20th century brought some inspiring and original novels such as Edna O’Brian’s A Scandalous Woman, Margaret Drabble’s A Summer Birdcage, Toni Morrison’s Beloved, and Sue Townsend’s Adrian Mole. Contemporary novels such as Lisa O’Donnel’s Death of Bees, Marina Lewinka’s We are All Made of Glue, Rosemund Lupton’s Sister, and Minette Walter’s The Ice House, have all captivated my literary imagination. You may conclude that my tastes are heterogeneous, and they are. You can also appreciate that I prefer women writers, and I do. What can I say? Most of my favourite novels were written by women. I’m not going to apologise for my literary tastes, but I’d like to remind you that there are some inspiring male authors on my bookshelf, too. Charles Dickens’ Old Curiosity Shop, Wilkie Collins The Moonstone, Galsworthy’s Forsythe Saga, Frank McCourt’s Angela’s Ashes, and Peter Robinson’s Caedmon’s Hymn, are novels which have left a lasting impression. Rereading Jane Eyre, as well as all my favourite novels is something I regularly indulge in. They never cease to amaze and teach me to be a better person, and a more thoughtful writer. 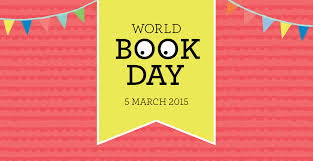 I’m grateful that I was able acknowledge and pay tribute to some of my favourite authors on this World Book Day, 2015. They have given me many hours of pleasure and creative stimulation. Thanks to all of them, I will always prefer reading to writing. ← What happens when a writer prefers reading to writing? Lovely eclectic group of books which are all nicely interrelated. I was thinking they are written by women or about women, mostly! 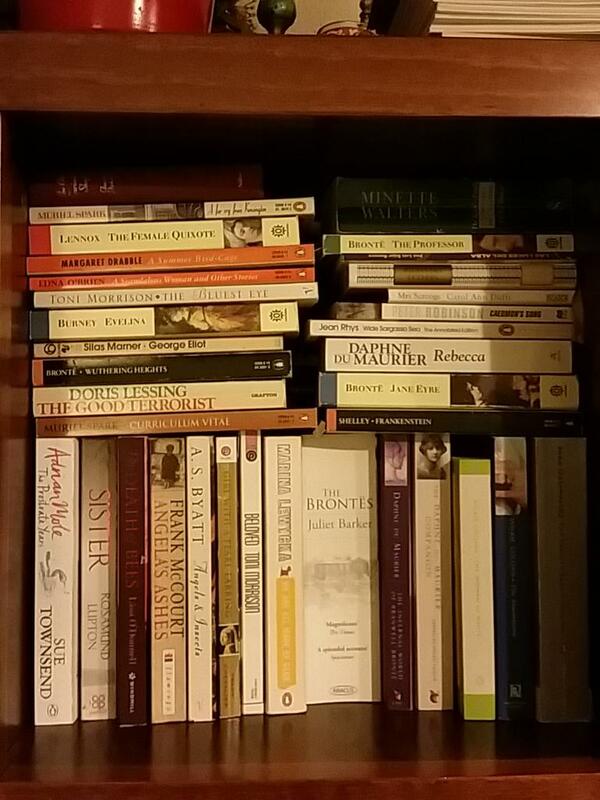 Always interesting to know what others enjoy reading, and quite a few of Luccia’s favourites are mine too – the Brontes, Wilkie Collins, Doris Lessing, Muriel Spark, Marina Lewinka. YOu have quite a few of my favourites there too, although the list is loooooong! Thanks for sharing!